Šipovo and its surroundings have huge potential for the development of many forms of tourism. A new promotional spot confirms that, which was made for the Tourist Organization of this municipality by the Željko Foto-studio from Šipovo. 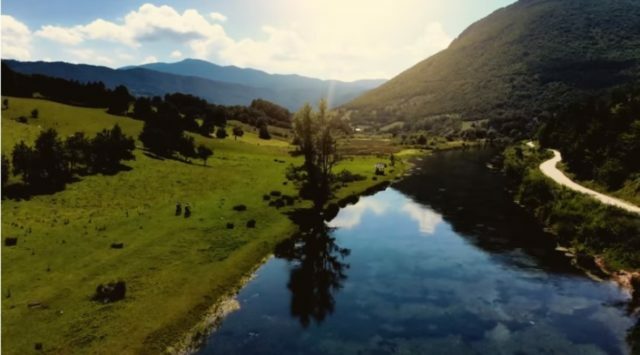 In the video, you can see just a part of the natural wealth and potential of the city with five unrealistically clear rivers, Janj, Pliva, Sokočnica, Lubović and Volarić. Besides rivers, there are numerous springs, lakes, clean air, mountains, forests and healthy food. There is no need to spend words on the potential of Janj Islands, which represent the mosaic of parks, streams and numerous small waterfalls, and the fortress Sokograd, caves, mountain roads and the monastery of Glogovac. It is high time that Šipovo, according to many undiscovered tourist pearls of Republika Srpska, takes a serious place on the tourist map of Bosnia and Herzegovina and the region. Next articleDodik: There won’t be another war in Bosnia. I care about peace, progress and tolerance.